Camanche Hills is the largest sporting clay facility in California and offers a family oriented shooting experience. Whether you are new to shotgun sports, or an experienced sporting clay enthusiast, Camanche Hills has what you are looking for. Camanche Hills offers a variety of shotgun sports, including three ten-station sporting clay courses, a grouse bunker, two 5-stands and a trap range. The Preserve also offers a large clubhouse with a restaurant, picnic area and a well-equipped pro shop. We take pride in introducing both children and adults to enjoyment that recreational shooting sports can provide. 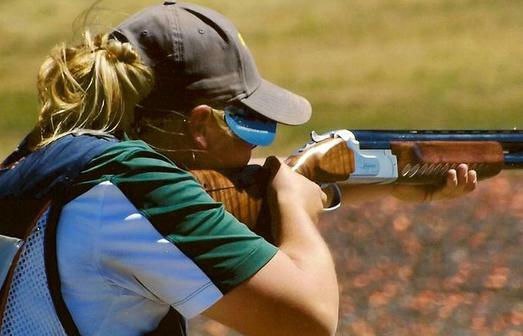 Sporting clay shooting instruction is available for all levels from first time shooters to seasoned competitors. All of your shooting sport supplies are available in our well stocked pro shop. Ask us about our Annual Punch Card Program and Gold Punch Card Program. Sporting clay facilities are open to the public year round. You can use this simple form to the left to reserve your space at upcoming Camanche Hills events. Just select the event from the menu, fill in the information and click the submit button. Its that simple! The following is a list of Camanche Hills 2018 Shooting Events. Click on an event for more information. Use the form at the bottom of this page to sign up online for events. 9/28/19 Sac State Alumni / Construction Mgmt. List up to 4 additional shooters in your group.